A quick Google search brings up perfume adverts heavily influenced by the Bauhaus movement, particularly those of the 30s. Given the close ties between art and industrial design in that same era, I have no doubt perfume bottles have been imagined and made in accordance with Bauhaus principles; anyone else get an image of Le Male or Classique bottles by Gaultier come to mind? But what about actual perfumes themselves? As perfumery really has been considered a luxury item, probably until Estee Lauder’s desire for the ordinary woman to access a beautiful perfume, so goes the story behind Youth Dew, it is an object that does not fall under the rubric of Bauhausian concern. A case could be made for Avon to claim some interest for the ordinary woman to access affordable, good perfumery at a mass level, but we might debate the level of artistry involved in Avon perfumes. After Meyer’s take over of the Bauhaus helm in 1928, the ethos shifted to a greater concern for social needs, at lower costs to the people. Avon did indeed bring working class women a chance to make an income and gave them access to an art form previously out of their reach. It’s my feeling that Bauhaus focused on objects humans need, as opposed to want or desire. The main names associated with the movement are largely to do architecture, interior design, furniture and, at a stretch, graphic design. Perfume really does not fit the portfolio. Let us not forget that dance and art were also explored at the school, and afterward, when the students moved away from Europe at the outset of World War II. So, it is possible that somewhere along the way, a perfumer has been shaped by wanting to produce a scent that extols the Bauhaus values and hopes for humanity. Still, I am not sure any perfume can make any assertion it is Bauhausian. In a way, I am relieved perfume wasn’t embraced by the Bauhaus, as much as I adore everything about the movement. Things have been pared down to minimalism, clean necessity and almost homogeneity as a result of Bauhaus’ universal appeal. I don’t want that happening with perfumery. If anything, perfumery may have gone into something quite antithetical; in a world so full of the same, perfumes give us a way to differentiate and personalise ourselves in such an intimate, and public, manner. Bauhaus may have thoroughly researched and documented the best height for door knobs, chairs and the reach of a lamp, but they left L’Air Du Temps to be interpreted and chronicled by our perfumers. 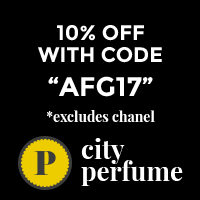 What are your impressions of artistic and social movements on perfumery? Do you feel society can, in turn, be influenced by perfumery, in the same way Bauhaus has shaped generations? If you can think of a perfume that does bring to mind Bauhaus principles, please let me know. I am all ears! May the Bauhaus be with you. ← My Perfume Wardrobe. Core Collection. Portia’s response brought to mind the clean and minimalistic movement in perfume…I am thinking of CK One and all the Clean perfumes and flankers as well as Philosophy brand scents which were clean, minimalistic and unisex. All of our chypres and heavy florals became passe…..and the younger generation now refers to them as “old lady perfumes”. Hmmm, CK One is an apt choice. A definite game changer, for sure. In many ways. But I not too sure perfume frontiers were pushed by the clean, minimalist wave. With hindsight, there is a lot of relief that movement ended. Then again, we have the oud trend… Maybe that has a possibility! Ha yes! The Oud trend. This is such an unexpected turn for me. I’d never added two and two and got Bauhaus as the answer. I think the most Bauhaus are the original L’Eau d’Issey fragrances. They are clean cut, linear and full of forward direction. They say one thing, do it well and with bravado. Interesting post Kate! I am unfamiliar with Bauhaus not knowing anything about graphic design etc, and had to Google to learn more. “The Bauhaus movement is characterized by economic sensibility, simplicity and a focus on mass production.” I suppose the focus on mass production applies to many perfume houses (good to make perfume accessible to the masses, but perhaps perpetuating less qualitative ingredients? ), and niche has moved us away from that somewhat? Perfume to me is a sensual pleasure that evokes emotions and scent memories. Therefore, I can’t relate any perfume to economic sensibility and simplicity. Perfumes are not economic, sensible, or simple to me! I lean the same way as you, Kathleen. Perfume belies any sort of mass sensibilities, on one level. It isn’t a mass consumer item really. I appreciate you, sharing your thoughts and giving us readers something to ponder and learn! Hi Kate there is only one parfum that comes to mind. Being Dutch ‘Bauhaus’ is familiar, and my grandmother who loved what was modern in her time (Bauhaus) thought things needed to be functional and elegant. I think the perfume needs to be composed in the Bauhaus era and needs to be timeless, elegant and structural. It also needs to be art and mass produced. It happens to be the perfume my grandmother wore, and I love it too, Chanel no 5. Hamamelis, I had pondered that too. The whole perfume house of Chanel has always inspired me with boundary pushing, creativity, elegance that transcends era and most certainly structural. The Chance line is a bit pedestrian in comparison though. Still, I think that No 5 is the penultimate Bauhaus perfume. Phew! Would No 5 have been groundbreaking in its time? I suppose Chanel’s famous jacket was very modern then but may be a bit pedestrian now? More phews here, but I like your question a lot, anything that makes me think about perfume! How many hours a day do we think about perfume? I’ll admit that my free time is largely perfume devoted. Cassieflower, me too! Belle Epoque, hippy movement etc, but Bauhaus is harder to pin down. My first thoughts. Bauhaus. Saw them twice. Bela Lugosi Is Dead. Architecture, furniture, and typography are my second. I lean towards Hamamelis’ thoughts on the N°5 Parfum bottle. Definitely a connection between perfumery and social movements. Excellent post. I have to think about this. SAME! I read the headline and was like: yep, I know them but what do these guys have to do with perfumes? Off to learn more about Bauhaus of non-musical variety, lol! Bahaha Diana and Val! Good call. Hadn’t even considered music. I am now all for No 5. You have all made a perfect suggestion. What a fantastic question, Kate! I’m now pondering matching scents to other art and design movements–while ignoring timelines and giving them full rein of all perfumes. What would a Dadaist wear? I was thinking that too, Hamamelis. It also brought to mind the Dali brand, but none of the scents can really claim a Dadaist feel. Now I need to think about that. Oliver and Co’s Nebula series? Kate, I really enjoyed your post. I never expected such an article in connection with perfume. In my mind Bauhaus is a combination of purism and functionality and I don’t think perfume fits in these categories well. Perfume is too subjective. I could associate perfume bottles with Bauhaus though. I’m thinking of the red, plastic “bottle” of Gucci Rush – an unbreakable cuboid box as opposed to ornated glass flacons. Agreed, Neva. Not too sure I made that point strong enough in my post. Other than the case for No 5, I am still convinced actual perfume, the liquid, defies any sort of artistic/design movement. Really interesting! I think other design movements would be easier to link to perfume?! Definitely. Creating, and a response to, other design movements. More so art movements, me thinks.